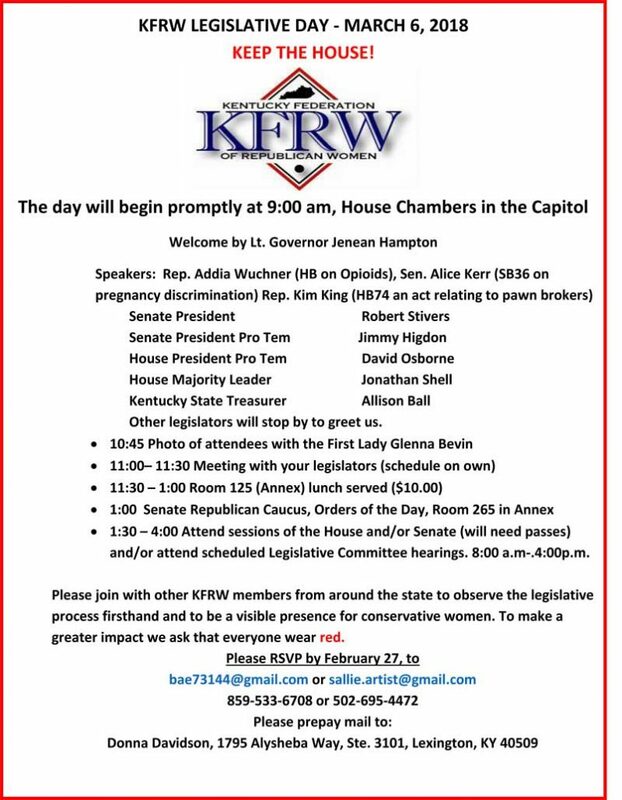 2019 KFRW Legislative Day — WEAR RED!! You are cordially invited to Tea with the Treasurer! © 2019 Kentucky Federation of Republican Women. All rights reserved. Website Designed by RB Design Studio, LLC.